Researchers from the Massachusetts Institute of Technology (MIT) have incorporated volcanic ash into standard concrete to create a new type of sustainable building material. The result of their endeavor far exceeded the scientists’ expectations, with the blended additive needing less energy to create while still maintaining its structural soundness (to a certain degree). Excitedly, the MIT team published their work in the Journal of Cleaner Production, stating that developing an ash-cement blend could help push for more environmentally friendly building materials. According to the team’s calculations, it would take around 16 percent less energy to build a pilot neighborhood of 26 concrete buildings made with 50 percent volcanic ash as it would to make the same structures out of traditional Portland cement. Nevertheless, the trade-off for using less energy for its creation is the concrete’s strength. The compromise is not as bad as it sounds, as engineers can easily map out the relationship and determine what percent of cement they would want to replace with volcanic ash depending on the structure they are intending to build. Construction has always been a catch-22 situation. We need structures that are built to last. This is for our safety as well as soothing our own aesthetic sensibilities. However, the process in which we make our building materials are not necessarily helpful to the environment. Recent research suggests that concrete production, in particular, is responsible for four to five percent of the total carbon dioxide emissions produced globally. That might not seem like a lot until you realize that cement production is the third-ranking producer of man-made carbon dioxide in the world after transportation and energy generation. The manufacturing of concrete is also an energy-demanding activity. It first involves blasting limestone rocks out from quarries then transporting the pieces to mills where they are further crushed and treated under high temperatures. There is a need to find suitable additives and alternatives to cement. Volcanic ash is considered an ideal substitute because it is readily available and considered to be a “waste product” as there is no (as of yet) commercial use for it. Moreover, volcanic ash has “pozzolonic” properties that makes it naturally able to bind with water and other materials when ground into powder. The team hopes that their findings will influence governments to begin constructing new buildings with volcanic ash-blended concrete. We associate volcanoes with death and destruction. One of the most beloved modern classical pieces, the Firebird by Igor Stravinsky, inspired fascination about phoenixes in general and the place where they are born and resurrected, which are volcanoes. Since then, volcanoes have held a beautiful but terrible allure in our consciousness. Yet volcanoes are also where beneficial materials can be found. Let’s take volcanic ash, for example. In its pure form, volcanic ash is harmful to your health, but made into a clay and it transforms into a healthful substance. The clay is composed of sodium bentonite and possesses antibacterial, anti-fungal, and antiviral properties. This makes it an excellent ingredient for many skincare products. Volcanic ash can likewise by used in the creation of certain medicines. It helps disinfect the blood, stimulate the secretion of bile, and aids in the synthesis of collagen. 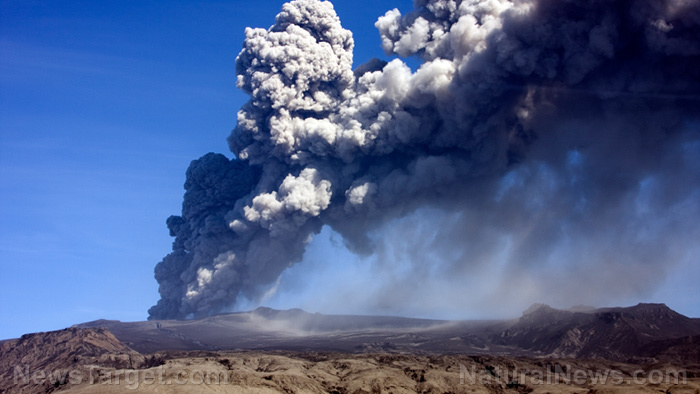 Some natural alternative healers recommend volcanic ash clay as a treatment for constipation. It is clear then that volcanic ash has many uses and may find another opportunity in the creation of a new form of concrete. To read more articles that talk about astonishing scientific breakthroughs, visit Research.news today.